April 1st 1954 Edition of the British Magazine, Model Engineer. 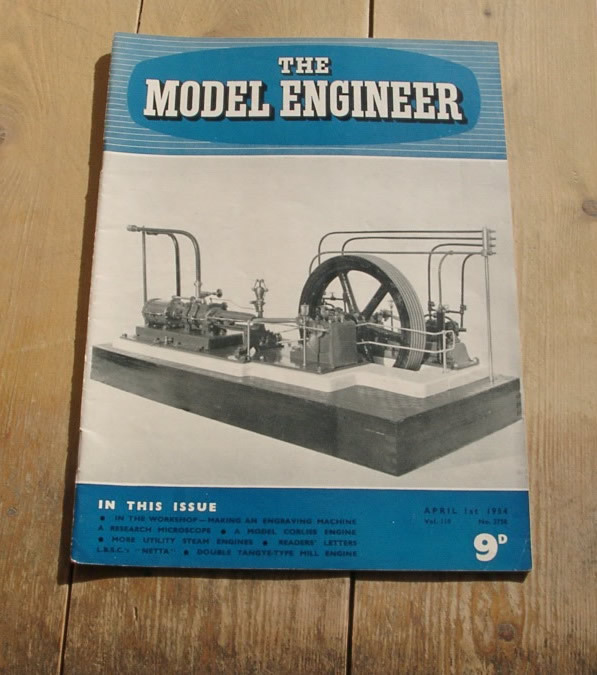 This issue has articles on the story of “Squib 2” – a Flash-steam driven Model Cruiser, making an engraving machine, L.B.S.C.’s “Netta”, Caledonian Railway loco. no. 128 in 5 in. gauge and the reconstruction of an old Polyphon.